I provide guitar, piano, keyboard lessons and aim to help bring a love of music into your life. This is Clayton, The Wandering Musician. I wanted to take a few minutes to answer a couple of frequently asked questions that new or prospective new students often have. If you have questions that you’d like to see answered here on my blog, just send an e-mail to Clayton@TheWanderingMusician.com. What’s a good age to start learning guitar or keyboard? That’s different for everyone. I started guitar at age 9, but I knew a man who didn’t start until he was in his 50’s. I played in my first band at age 11 and didn’t pick up the keyboard until my 20’s. There were a few other instruments that I threw in along the way, including banjo, bass guitar and ukulele. My personal opinion is that you should be at least 7 or 8 years old. There are a couple of reasons for this – first, because children younger than that tend to have a hard time focusing long enough to really benefit from the lessons. 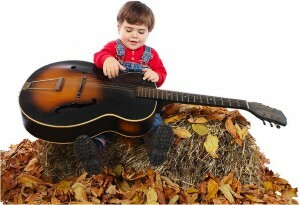 Also, little fingers find it hard to stretch as needed to reach the strings or keys. That being said, there are exceptions to any rule. Whatever your age, if you feel that a certain instrument is the one for you, go for it. The worst that can happen is that you find out it’s not for you and you move on to something else. And maybe you’ll come back to it later. In the meantime, you’ll at least pick up some basic musical skills that may be helpful in the future. What kind of guitar should I get to start? There are some who stand by the electric. I personally think that it’s better to start learning on an acoustic. The string tension will help build up your fingertips faster, and electrics have a tendency to go out of tune more quickly, especially if you use light gauge strings. Also, with an acoustic, you don’t have to worry about plugging in or carrying an amp around with you. 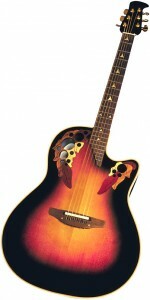 Of course you can always get an acoustic with a built in pickup and get the best of both worlds. Whichever you choose, try out a few different models to see what feels right for you. If you’re not sure it’s something you’re going to stick with, it might be a good idea to borrow one in the beginning – if you have a relative or friend who will lend one to you. If not, look around for a place that rents musical instruments(some will rent with the option to buy later). If you are a beginner and decide you want to buy right away, try not to go for the cheapest, the sound quality won’t be good and that can be very discouraging. Make sure you get the right size, especially for children. They can help you figure that out at the store. This entry was posted in guitar, keyboard, Music Lessons and tagged first guitar, guitar, guitar lessons, keyboard keyboard lessons, music lessons, new instrument, piano, piano lessons by guitarman52. Bookmark the permalink.